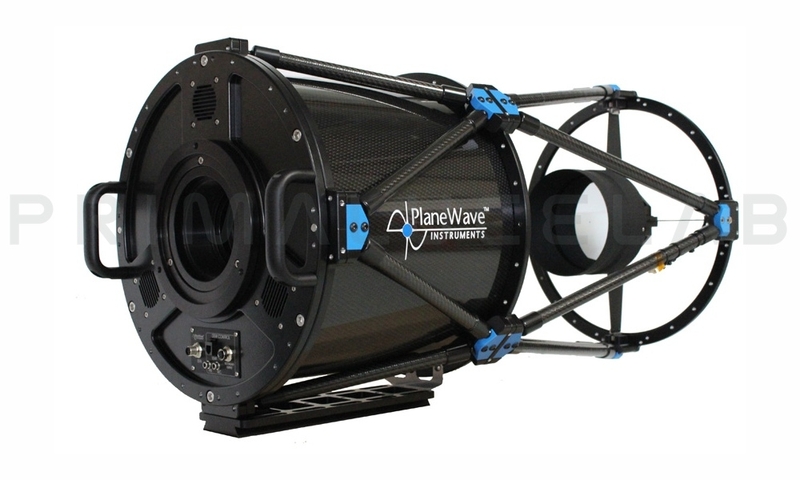 The PlaneWave Instruments CDK14 is a 14 inch (356mm) f/7.2 Corrected Dall-Kirkham Astrograph telescope. 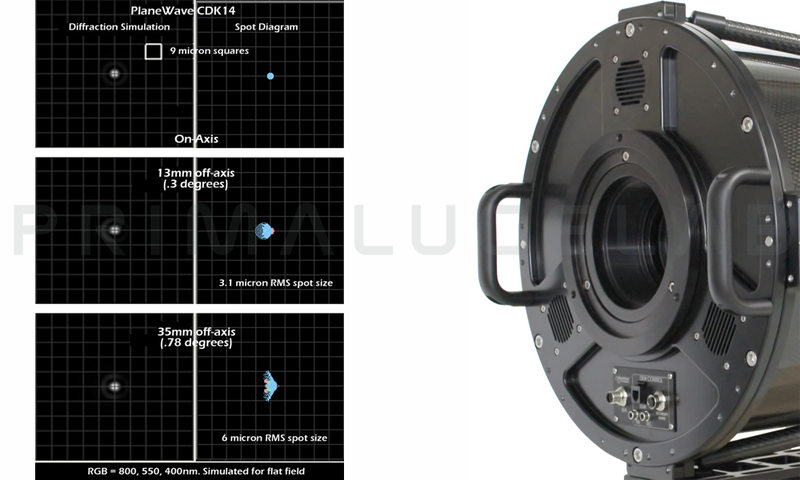 The CDK14 covers a 70 mm field of view without any field curvature, off-axis coma, or astigmatism. The CDK14 is a lightweight carbon-fiber truss design weighing less than 50lbs, with 3 cooling fans blowing air throughout the back of the telescope. The CDK optical design is the innovative solution for unsurpassed astro-imaging quality at an affordable price. For optional accessories (0,66x reducer, Delta T controller, Hedrick focuser, EFA electronic focuser) and telescope availability and delivery time, please contact us. Cooling Fans: three fans blow out of the optical tube pulling air though the telescope and by the primary mirror. This helps the telescope to reach thermal equilibrium quickly. 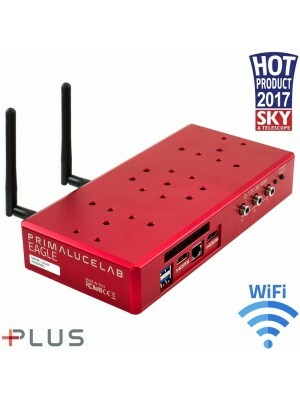 The fans are controlled by a switch on the optical tube or can be conrolled by a computer if the optional Electronic Focus Accessory (EFA Kit) is purchased.